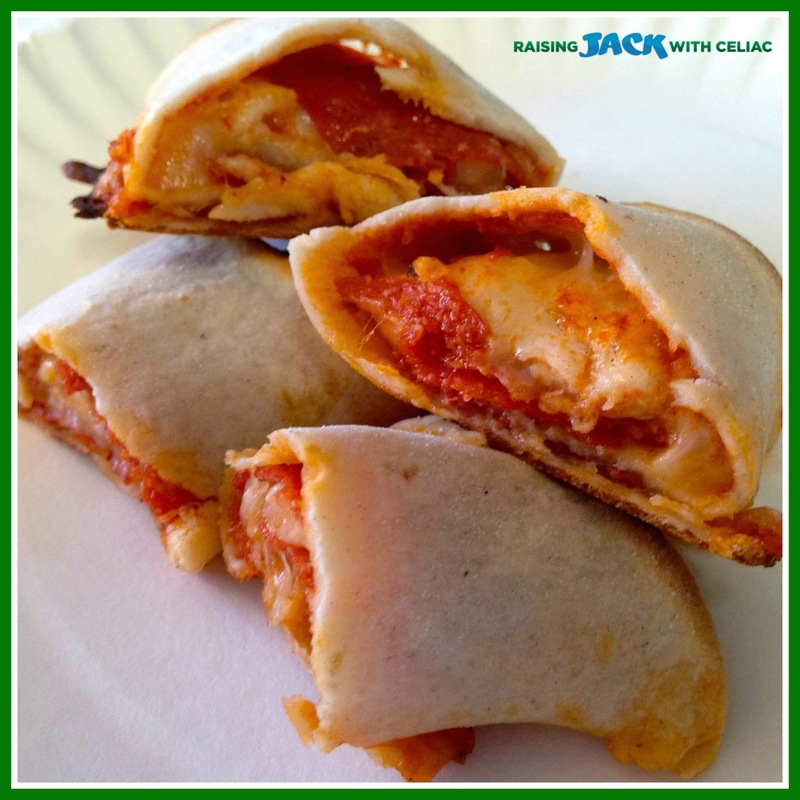 While my daughter and I were out to lunch today, my husband whipped up some gluten-free pizza roll-ups for him and the boys and even took pictures! They tasted great and Jack loved them too. I think you all will enjoy them as well. 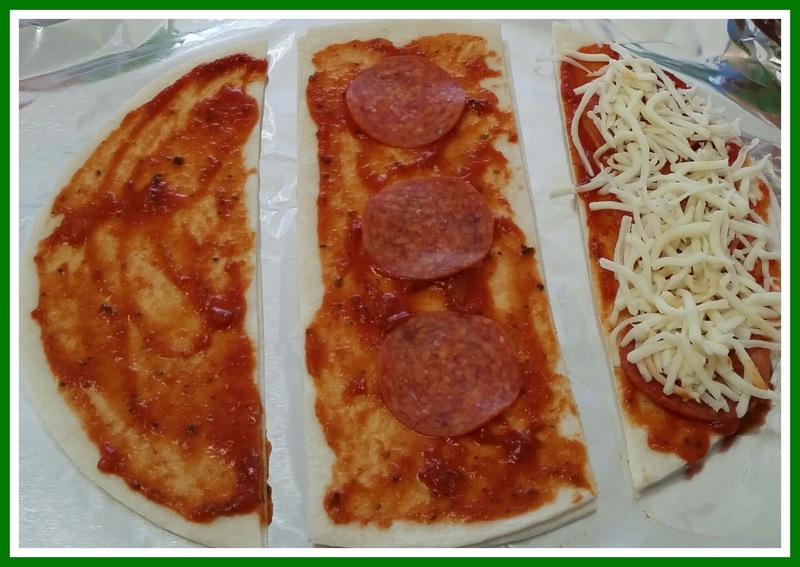 4 ingredients: GF tortillas, Pizza Sauce, Pepperoni and Mozzarella Cheese. Step 1: Preheat Oven to 400. 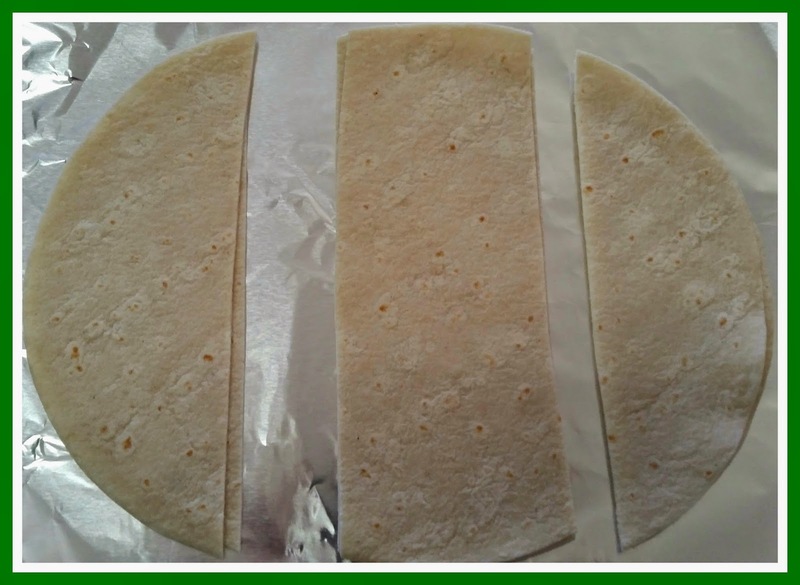 Cut tortillas into three strips. 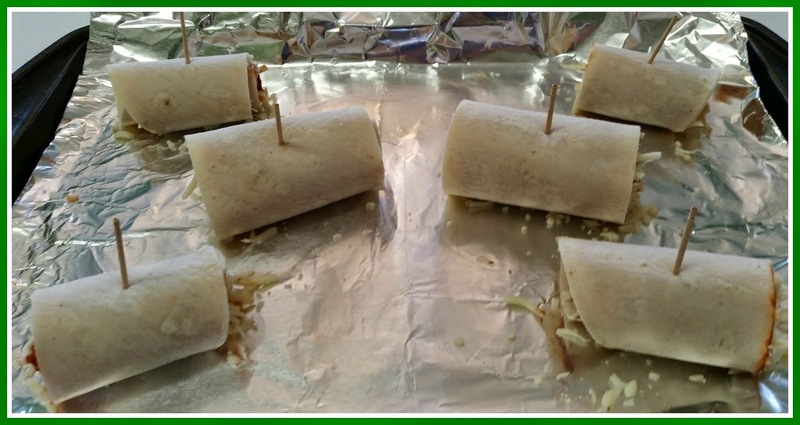 Step 3: Roll-up 'em up and insert toothpick to hold them together. Step 4: Bake @400 for about 10 minutes. They were DELICIOUS! Crispy, but chewy - they were just right. I think Udi's tortillas were a great choice for these. We will definitely make them again. My husband used to eat pizza rolls back in high school and I think these reminded him of those. He wants to make them again, but with sausage. Brilliant! 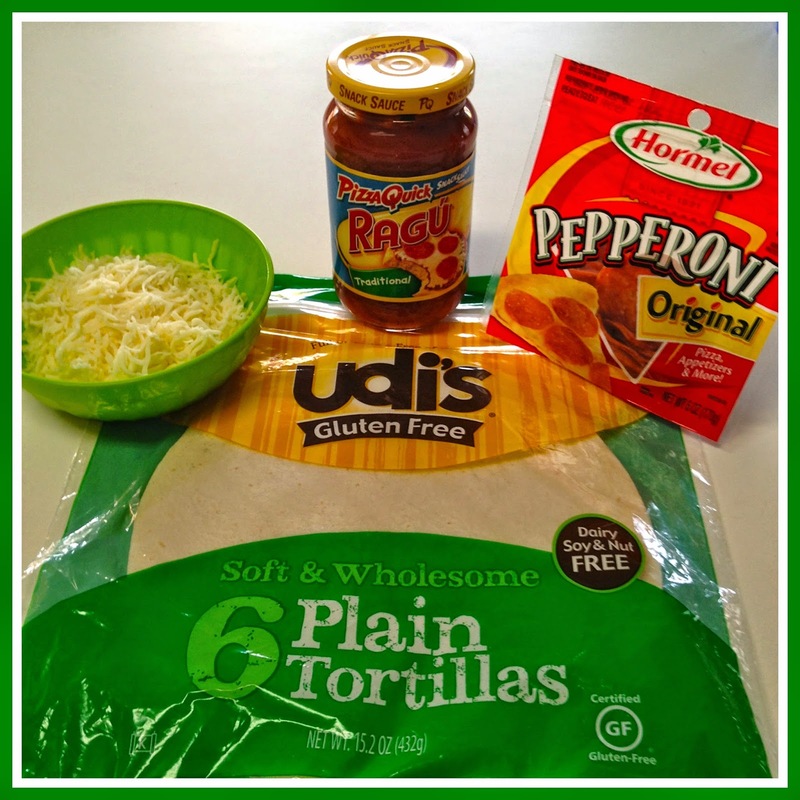 Thanks for sharing a simple, kid friendly recipe that is surely healthier than the ones you buy!